The arrival of Queen Elizabeth in October will put Cunard’s fleet back at three; since the retirement of QE2 in 2008, only Queen Mary 2 and Queen Victoria have been flying the Cunard flag. Cunard has delved deep into its 170-year history to create an image for this new, 90,400-ton, 2,092-passenger ship, drawing on the heritage of the original Queen Elizabeth, a once stateof- the-art liner that carried passengers across the Atlantic in style between 1946 and 1968. The new Queen Elizabeth is almost, but not quite a structural carbon copy of Queen Victoria, which was launched in 2007. 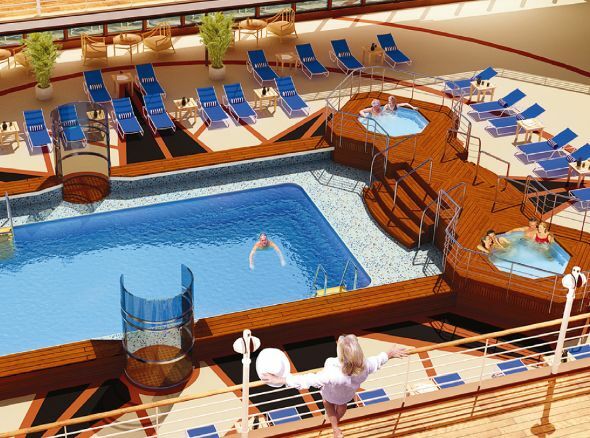 Queen Elizabeth has 38 extra cabins, so the aft of the ship has a squarer profile. But if you’ve cruised on Queen Victoria, finding your way around QE will be easy. 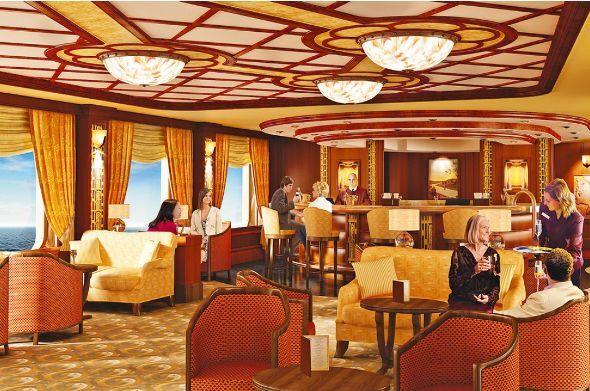 The interiors of the original Queen Elizabeth were inspired by the Art Deco style, and the new ship will reflect this, with Art Deco touches in many of the public rooms. But there will be contemporary influences, too, including an extensive spa and gym, Asian, South American and Mexican food, a kids’club and an internet centre. 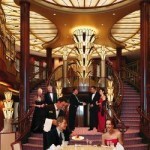 Many of the public rooms on Queen Elizabeth are common to all Cunard ships, not least the Queens Room, a stunning, Art Deco ballroom for formal dances and themed balls (anything from Black and White to Swinging Sixties), and the Golden Lion, a ‘real’ British pub on a cruise ship, with proper pub quizzes, draught beer, darts, pub lunches and late-night karaoke. 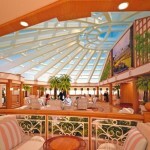 Some of public areas on board have touches you won’t find on other cruise lines’ ships. 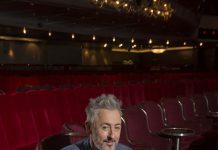 The Royal Court Theatre, for example, has private boxes that can be booked for $50 per couple, which includes dessert and champagne while you watch the show. The spectacular library houses 6,000 books and spans two decks, its upper and lower levelslinked by a spiral staircase. The resident librarian even runs a book club. The whole emphasis on Queen Elizabeth is glamour; a cruise on this ship is an occasion to pack the sequins. It’s all very elegant and genteel, from the picture gallery adorned with blackand- white images of all the famous faces who have travelled on Cunard liners over the years to the Hermès store in the Royal Arcade of shops. and bowls on the lawn, and paddle tennis in whites. The Garden Lounge, a light-filled conservatory inspired by the glasshouses at Kew Gardens, will be used for afternoon tea and occasional supper club dinners. 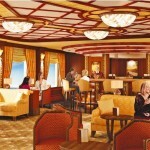 On formal nights, guests will be able to have their portraits taken inthe Grand Lobby, all marble flooring and chandeliers, against a backdrop more than two decks high of a huge marquetry panel depicting the original Queen Elizabeth and designed by master wood craftsman David Linley, nephew of the Queen. But while all this sounds very posh, this ship is not the preserve of the wealthy; the lower grade cabins are as affordable as on any other moderately upmarket vessel. It’s only when you get into the Grill class accommodation that Cunard is up there with Silversea or Regent Seven Seas Cruises. 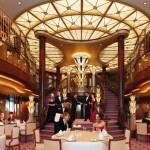 Most passengers in Britannia-grade cabins (inside, outside view and some balcony grades) eat in the Britannia Restaurant, an elegant, two-deckhigh dining room, a vast chandelier dominating the sweeping stairway at its entrance. There are two sittings in here. 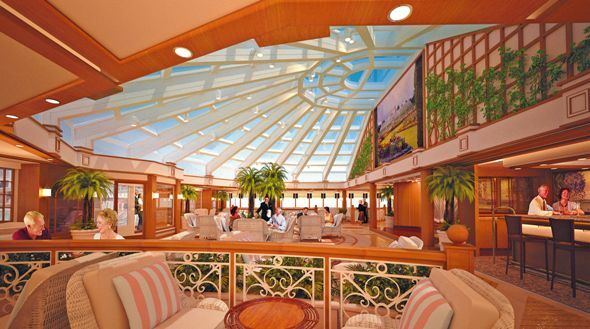 On Queen Elizabeth, there will be an extra, open-seating dining room, the Britannia Club Restaurant, for the top Britannia Class cabins; sister Queen Victoria doesn’t offer this. 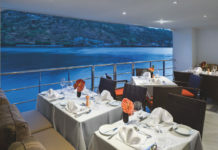 Guests in Princess Grill and Queens Grill cabins have their own bar and restaurants up on Deck 11, where there’s single seating and a la carte dining, as well as an outdoor space, the Courtyard, a sunken patio for al fresco dining. You can’t see the sea from here, which is a bit disappointing, as the walls are so high (needed as protection against the wind). 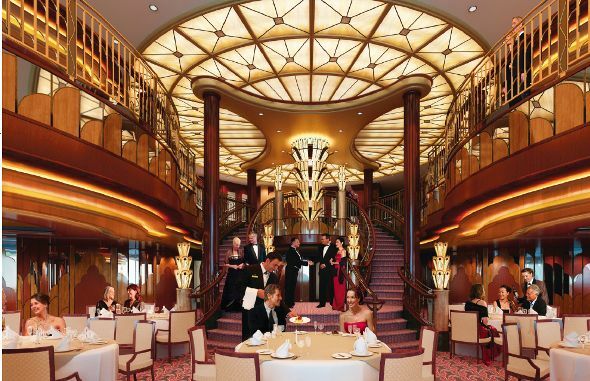 An ‘alternative’ restaurant, the Verandah Grill, will evoke the very chic dining rooms on the original Queen Mary and Queen Elizabeth; back in the day, these were the most prestigious restaurants at sea. The 2010 version will offer contemporary French cuisine, with menus created by Cunard’s culinary consultant, Jean-Marie Zimmermann, for a supplement (yet to be disclosed), at lunchtime and in the evenings. Anybody can eat in here, regardless of their cabin grade. On Deck Nine, the casual Lido Restaurant is a buffet by day but in the evenings, will be transformed into three different areas, Asado (South American cuisine), Aztec (Mexican cuisine) and Jasmine (Pan-Asian cuisine), where you can eat for a $10 per person charge. 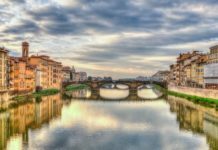 The buffet will also operate in the evenings, at no extra charge. New on Queen Elizabeth will be ‘Professional Insights’, a series of workshops on subjects such as antiques, auctions, sculpture and performance poetry. 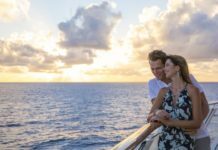 In addition, Cunard ConneXions offers lessons in everything from bridge to dancing. Evenings, too, will be filled with choices. A special Queen Elizabeth Theatre Company has been formed, performing everything from Shakespeare to Neil Simon plays, and Have I Got News For You-style topical news quizzes will be staged in the blue-and-gold Royal Court Theatre; adventurous, when you think that most cruise lines favour ‘sequins and feathers’ singers and dancers. 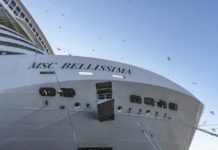 Queen Elizabeth will be named in Southampton in October before embarking on a 13-night Canary Islands cruise. 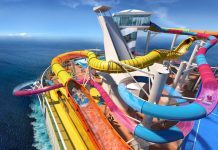 The maiden season will include a five-night mini-cruise and longer Caribbean voyages, before embarking on her first world cruise in January 2011. 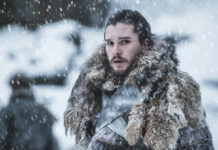 Much of the maiden season is sold out, but as a guide, expect to pay from £1,000 for a week in an inside cabin on a cruise from Southampton to Norway in May 2011. 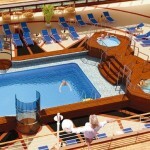 Or if you’ve got £36,099 to spare, splash out on a Queens Grill suite on the 103-night world cruise.